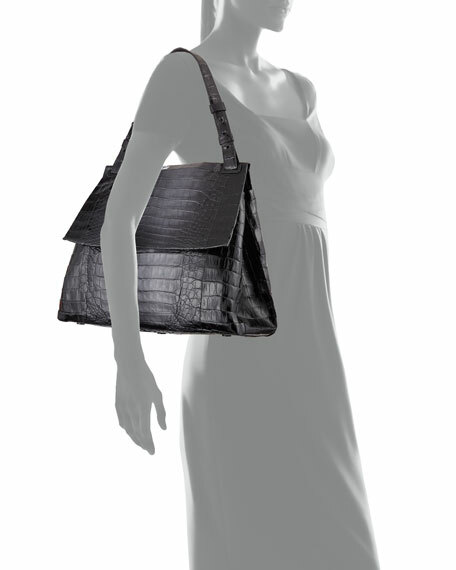 Nancy Gonzalez shoulder bag in signature Caiman crocodile with glossy ombré finish. 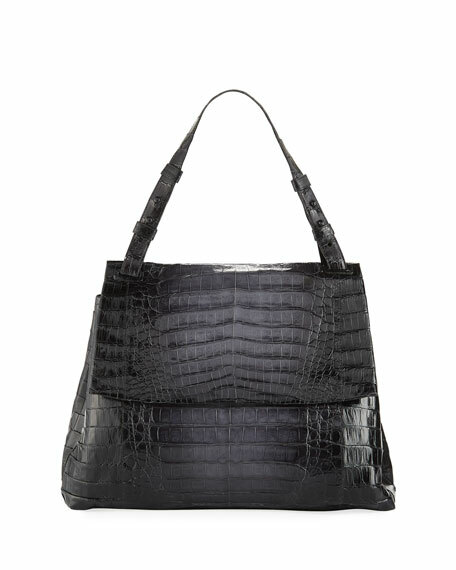 Tote strap with adjustable studs. 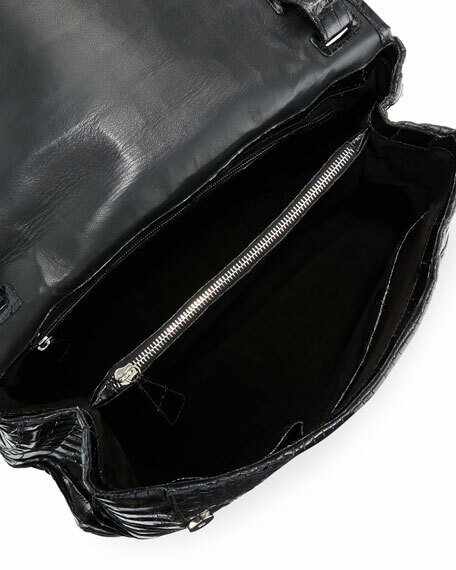 Inside, center zip compartment; one zip/two open pockets. 15.3"H x 19"W x 6.8"D.